Nursing assistants in North Carolina are health care professionals who render quality care to patients under the supervision of licensed practical nurses or registered nurses. They are otherwise referred to as nurse aids or patient care assistants. One of the most popular questions for those looking in to this career choice, is what is the CNA salary in NC? Based on the US Bureau of Labor Statistics survey, the average yearly income of certified nursing assistants in North Carolina state is about $22,860 in 2013 of May. According to indeed.com, the mean salary pay of CNA is approximately $23, 000 as of year 2015 in January. In general, the bracket for the average pay of CNAs is $16,500 to $30,000 annually. The salary varies to different individuals because of several factors which include the work experience requirement, changes in locations, healthcare facilities, employers, and many more. Entry level CNA’s can expect to start at an hourly rate of around $12. In North Carolina, having the work experience in the nursing field is very influential in getting higher salary. It aids in gaining the annual income wage. Having a minimum of one or two years of work experience is already beneficial for certified nursing assistants to be able to achieve greater paying positions. Not only that CNAs get higher pay rate but they also get the opportunity to receive lots of benefits. It may not be a surprise that the kind of education that certified nursing assistants have will affect the salary that they are going to get. They may be required to have the diploma and training, however the most important factor that employers require is their work experience. To have work experience means to gain higher salary wage. The salary of certified nursing assistants is actually the discretion of the employers in North Carolina. A lot of them mostly have the lowest pay for those who work in nursing homes or other home health agencies. When CNAs are able to work for a while on the job and gain more work experience, they will already be able to apply for positions in various health care settings including the hospitals, schools, government agencies, and private companies. In this connection, certified nursing assistants can get higher pay because of the work experience which they already have and they will also be offered with more benefits. 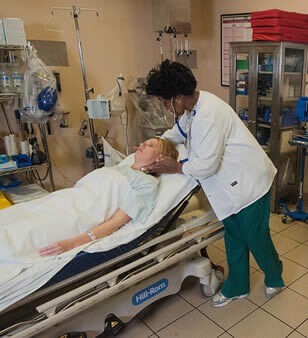 Throughout the country, the state of North Carolina has approximately three percent of nursing assistants. It is expected that the job openings for nursing assistants will be more than average in the future. To get further information about attending CNA classes in NC check out this page.